No matter how many endless hours are spent planning for next growing season, weather always plays an unpredictable role in early-season crop development. 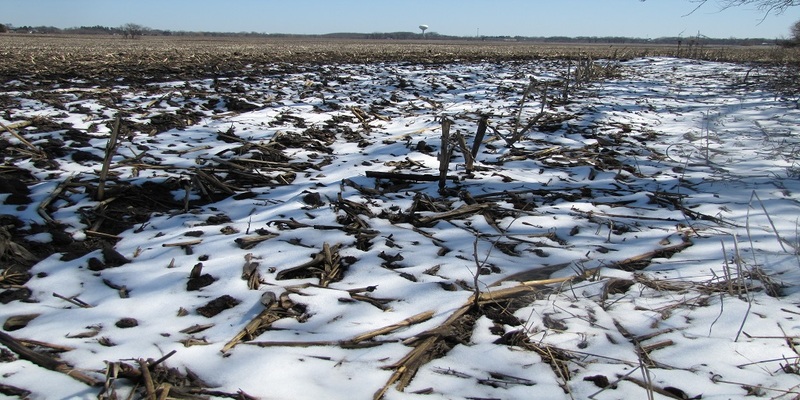 This year, weather-related challenges hit farms in some parts of the U.S. especially hard, forcing farmers to take a second look at spring planting plans. Even the best seed products are subject to their environments, and as fields recover from the adverse weather conditions, it is important to know how your crops will react to these differences in moisture and temperature. 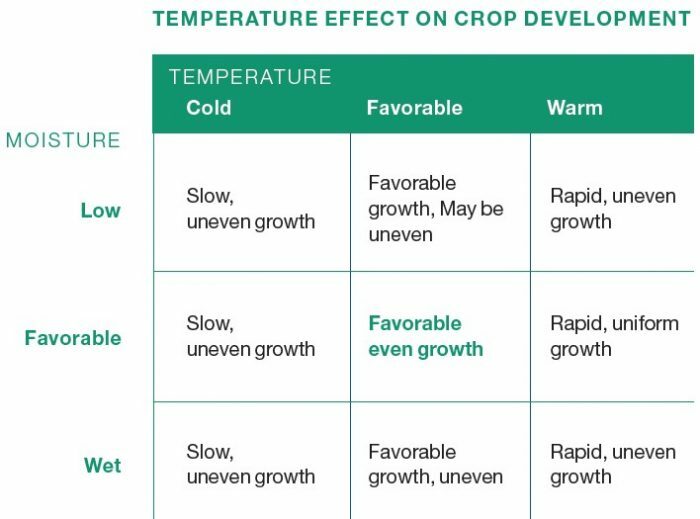 The chart below shows how different moisture levels and a range of temperatures affect crop development. The amount of moisture, whether too much or too little, can also have temporary – or even permanent – effects on the plant growth. 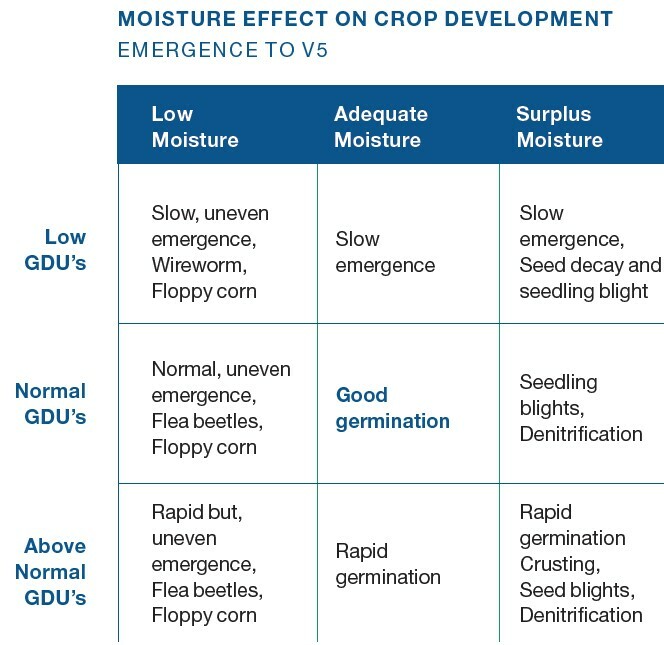 The chart below explains how the effects the moisture and GDU levels can have on crop development. For recommendations specific to your field conditions, speak with your local NK retailer.